Light is accented by a black base and cross silouetted on blue. The symbols of Christ's presence– the light, star, and cross– are outlined in gold. 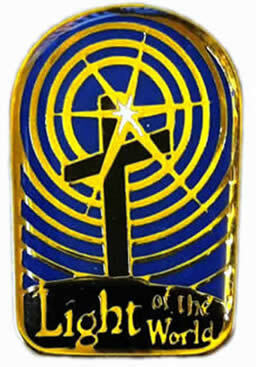 The words "Light of the World" are in gold.